Financial incentives have long been used to try to influence professional values and practices. Recent events including the global financial crisis and the BP Texas City refinery disaster have been linked to such incentives, with commentators calling for a critical look at these systems given the catastrophic outcomes. 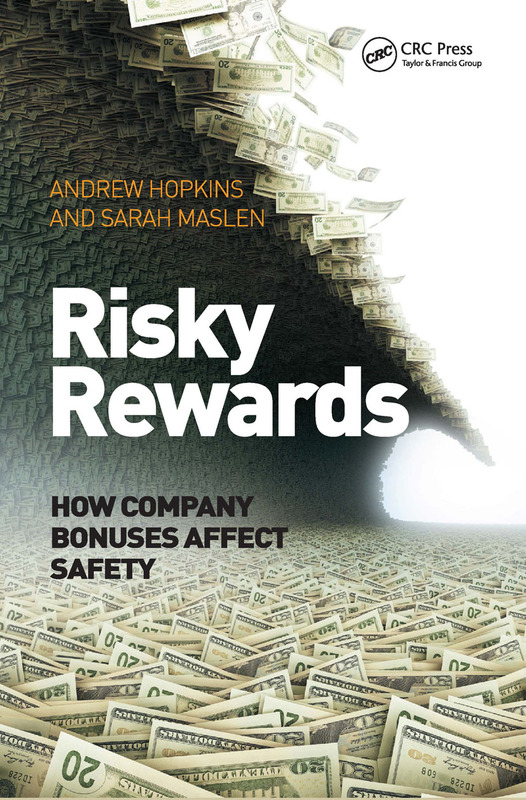 Risky Rewards engages with this debate, particularly in the context of the present and potential role of incentives to manage major accident risk in hazardous industries. It examines the extent to which people respond to financial incentives, the potential for perverse consequences, and approaches that most appropriately focus attention on major hazard risk. The book is based in part on an empirical study of bonus arrangements in eleven companies operating in hazardous industries, including oil, gas, chemical and mining. Introduction. Questioning the Value of Financial Incentives. The Problem of Rare but Catastrophic Events. Long-Term Incentives. Annual Bonuses. The Impace of Incentive Arrangements. Indicators of Major Hazard Risk. Summary, Reflections, Suggestions. The Research Process. A Sample Performance Agreement. Andrew Hopkins is Emeritus Professor in the School of Sociology at The Australian National University. He has published widely across the field of organisational safety, authoring titles including Disastrous Decisions, Failure to Learn, Lessons from Longford, Lessons from Gretley, and Safety, Culture and Risk. These books have together sold more than 70,000 copies. He speaks regularly to audiences around the world about the causes of major accidents. Sarah Maslen is Assistant Professor of Sociology at the University of Canberra. She was previously a Research Fellow in the School of Sociology at The Australian National University. Her research interests include occupational knowledge and practice, sensory perception, and risk.